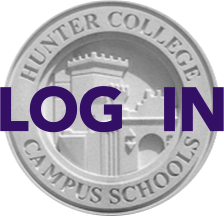 Hunter's inaugural TEDx event will convene some of the most extraordinary minds and voices to emerge from the Hunter College Elementary School and High School communities for a day of talks and performances around the theme embodied by Hunter's motto, "The Care of the Future is Mine." It will be co-hosted by WNYC's Brian Lehrer, parent of a HCHS alum, and journalist and alum Jennifer 8. Lee, and held in the HCCS auditorium on 94th Street on Saturday, Sept. 24. The goal is to inspire students, alumni, families, faculty and staff and to spark a conversation that will last far longer than the day itself. TEDx is a conference format based on the "ideas worth sharing" mission of the the non-profit TED (Technology, Entertainment, Design) organization, which has highlighted and spread the ground-breaking thoughts and performances of some of the world's leading thinkers and artists. For more information, check the TedXHunterCCS.org website, or the Facebook page. Much more information will be sent to you over the summer.